The holiday is not complete without enjoying warm hot chocolate with our loved ones in the cold holiday seasons. However, the hot chocolates can be full of calories and sugar. That’s today I am bringing a fat-free, sugar-free (diary free optional). Hope you enjoy the holidays and keep yourself warm with this healthy version of hot chocolate. Happy reading. To make a cup of hot chocolate use 1/4 cup of mix and 1 cup cold water and heat up after mixing due to the instant pudding. Enjoy with homemade low calorie marshmallow. 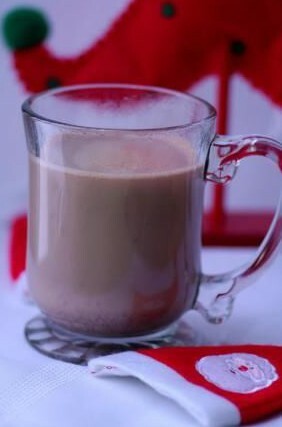 This entry was posted in Holiday, Recipes and tagged Fat Free, Fat Free Hot Chocolate Mix, Healthy Holiday Recipe, Healthy Holiday Treat, Holiday Recipe, Sugar Free by allaboutme31. Bookmark the permalink.